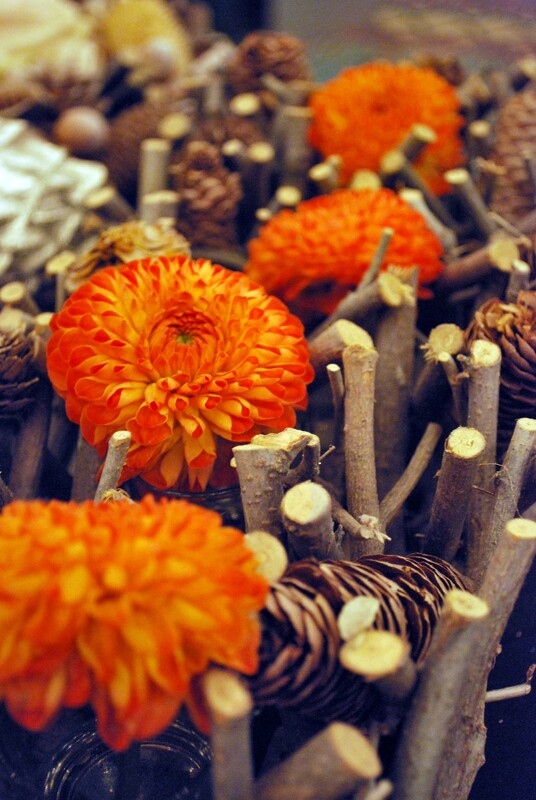 A reason to shop – Artiflor! 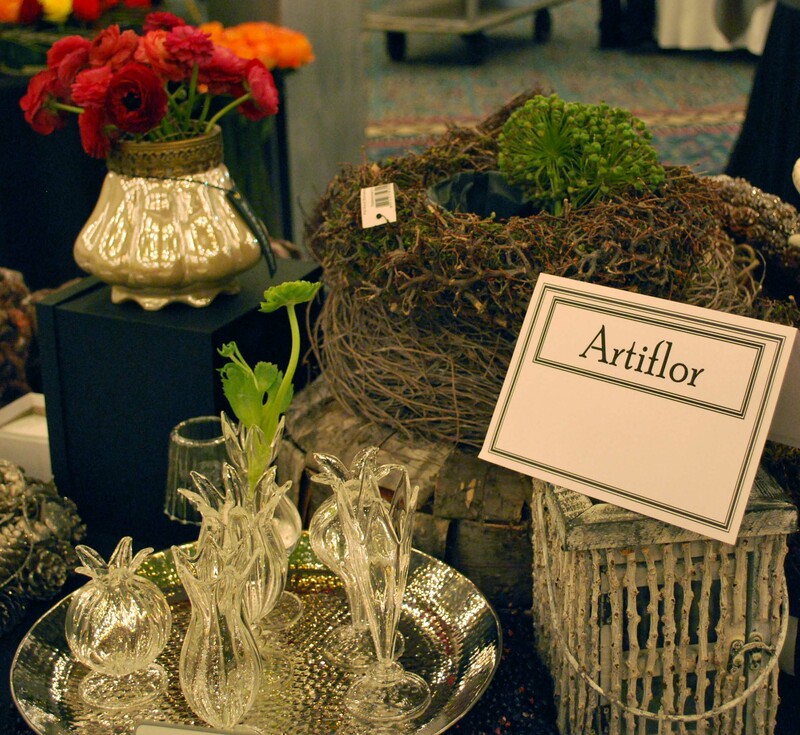 An assemblage of Artiflor product at the AIFD Partners event this past July. 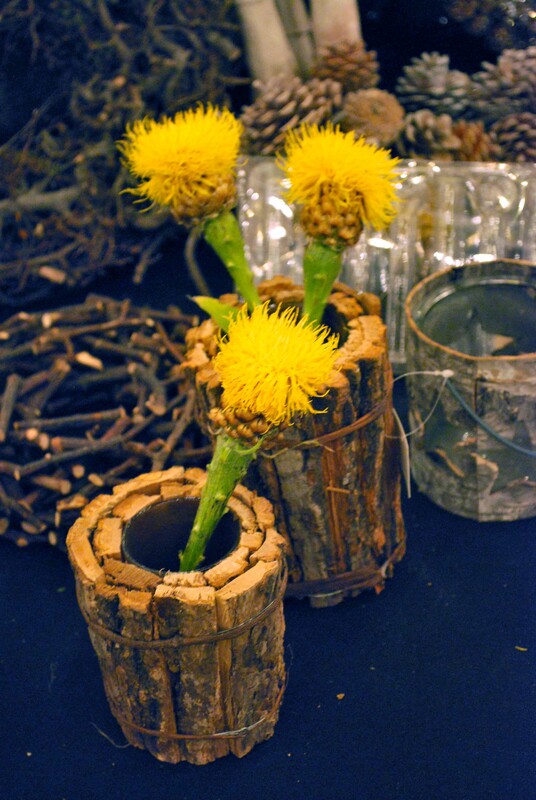 During the recent American Institute of Floral Designers annual symposium in Miami; which happened the 11th to 15th of July at the Hyatt Regency Downtown, Artiflor was present to show their line of naturally inspired home decor items that included life like mushrooms, beaded wires, artisal ceramics and glasswares as well as a plethora of other sought after, trend inspired and inspiring items. Artiflor is the brainchild of designer Martine van Velden and Marco Rozenbroek and is currently showing their full line just a hop, skip and a jump from the Dallas Market Center. So, when you are in Dallas for the next market or if you find yourself in the area just browsing, please stop by their location at 5610 Maple Ave in Dallas, Texas and be prepared to be inspired. You can also catch the designing duo at the IGC show in Chicago this month! Easy does it with the floral embellishment. 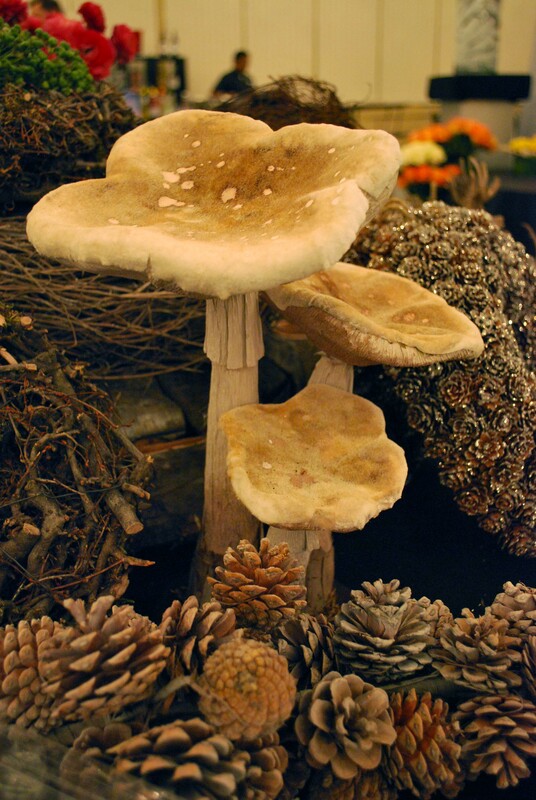 Realistic, rustic fungii – all the rage! 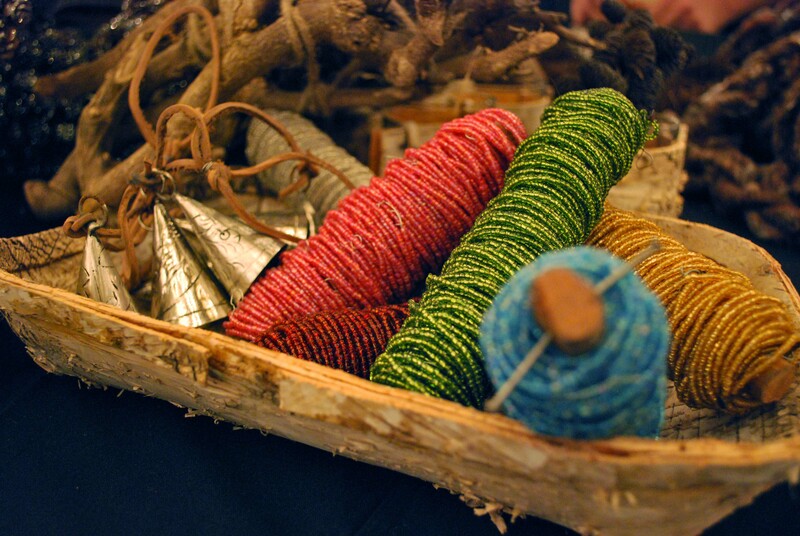 Beaded wires, metallic bells and naturally rustic trays can come together and provide inspiration for the future. This entry was posted in Home decor products. Bookmark the permalink.